Star Planet recently announces EXO's return for their 4th concert tour EXO Planet #4 The EℓyXiOn in Kuala Lumpur which is set to take place on 7th July at 5PM, Axiata Arena Bukit Jalil. The ticket launch, however, is set to take place on 12 May at Atria Shopping Gallery, Level G, Centre Court from 11AM to 5PM. 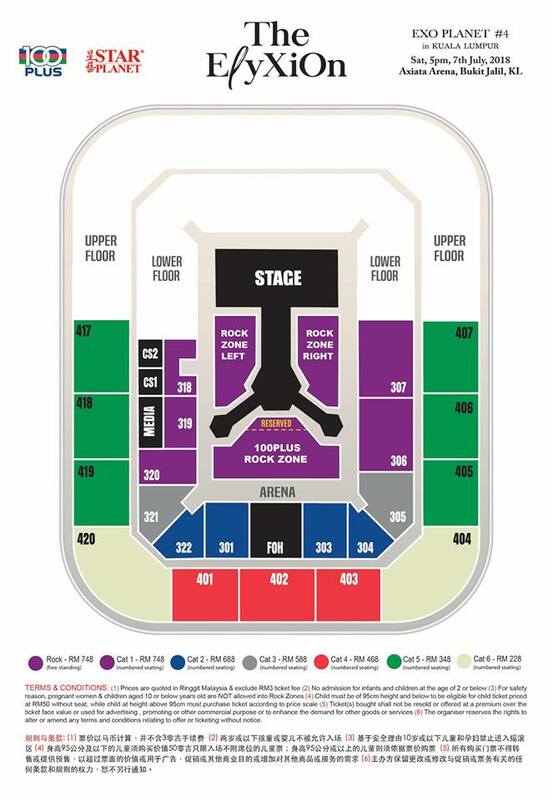 Online sales will commence on the next day 13 May via myticket.asia. Atria Friend or Junior Card members who spend RM30 or above in a single receipt between 10 and 12 May 2018 will be eligible to receive a gift certificate worth RM20, redeemable for concerts tickets. How to join the 100PLUS Buy & Win Contest? 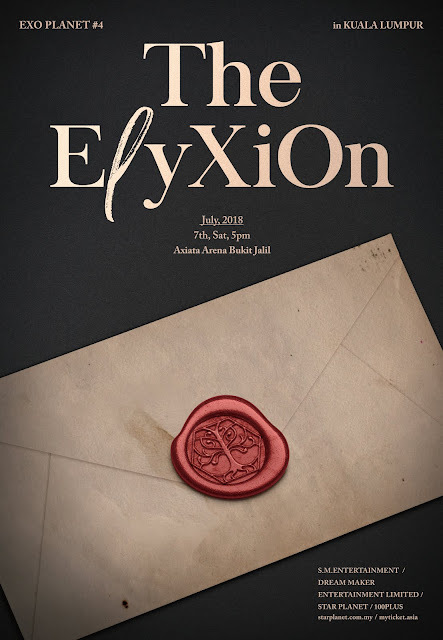 EXO kick-started EXO PLANET #4 - The EℓyXiOn in Seoul last year November and housing a whopping 66,000 audiences. The “EℓyXiOn”, inspired by the word “Elysium” is to symbolize a Utopia, an ideal space habitat of perfect happiness where only the chosen ones are granted entry. Hence, the theme of the concert will see EXO members in search of the ideal land, presented through a splendid stage production that will promise a world-class lighting and visual effects. Followed by the grand success in Seoul, EXO then continued their concert tour in Japan, Taipei, Singapore, Bangkok and Manila. 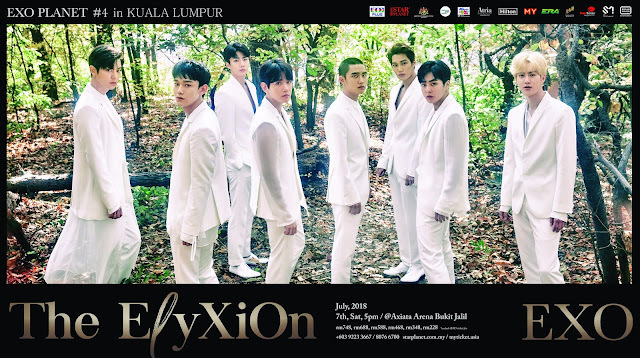 Malaysia will be the final stop of their concert tour. Organized by Star Planet with the support of Malaysia Major Events and sponsored by 100PLUS, this upcoming Malaysia gig will be full of fantastic joy. For more information, contact Star Planet at +603 9223 3667 or visit www.starplanet.com.my or www.myticket.asia.